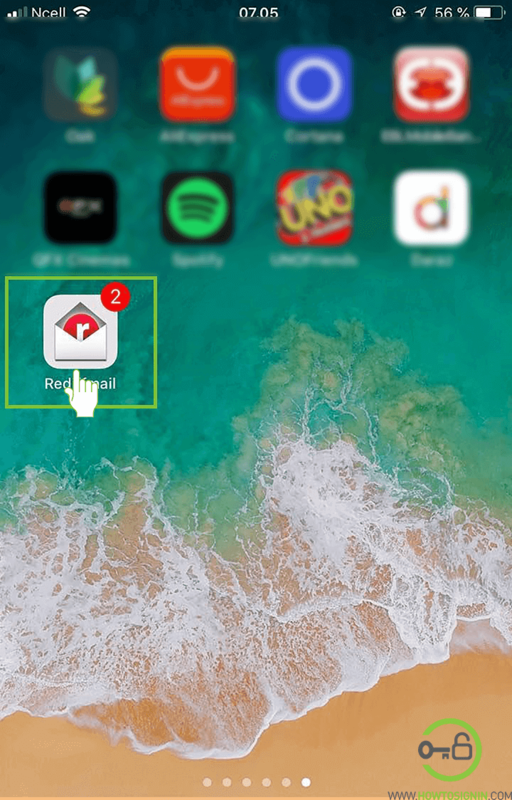 After Rediffmail login you can not only send and receive emails, you can watch videos like that on YouTube, shopping online, get live commentary on India’s Stock market and many more. 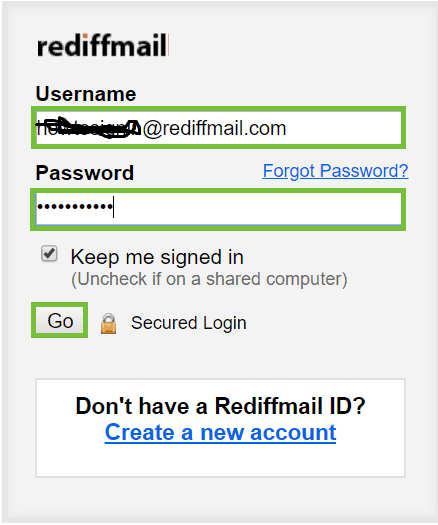 You can log in Rediffmail account either through internet browser or through your mobile application. 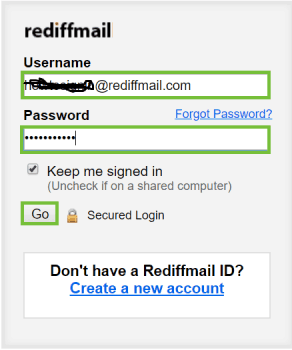 Here is simplified procedure on how to sign in Rediffmail account using Internet Browser and mobile app. Visit Rediffmail homepage from the browser of your choice. Enter the username with which you want to sign in Rediff account. Now input the password associated with the username you just entered. While typing the password keep in mind that passwords are case sensitive and entering wrong password multiple times may cause the blockage of your account. To see what you have entered as your password click on eye icon at the end of the password box. 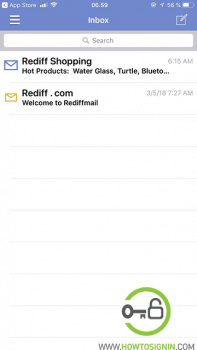 If you want your device to remember you so that you don’t have to enter your username and password every time you log in rediff.com then check (click on small box) “Keep me signed in”. After that, click on “Go”. You are now all set to use Rediffmail to send and receive email using this platform. If you are using public device or device of any other person don’t forget to log out the account while you are done using the account. Go to the menu of your mobile and open Rediffmail app. Insert the username of the account that you want to sign in with. 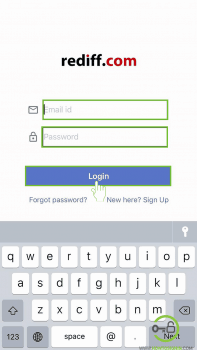 Type password associated with the account just entered. 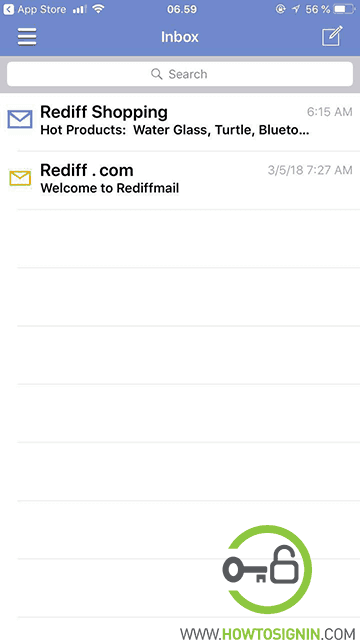 Tap on “Sign in” and will be logged in to Rediffmail account in the application on your mobile. You will be remembered by the application i.e. you don’t have to enter username and password next time onwards. 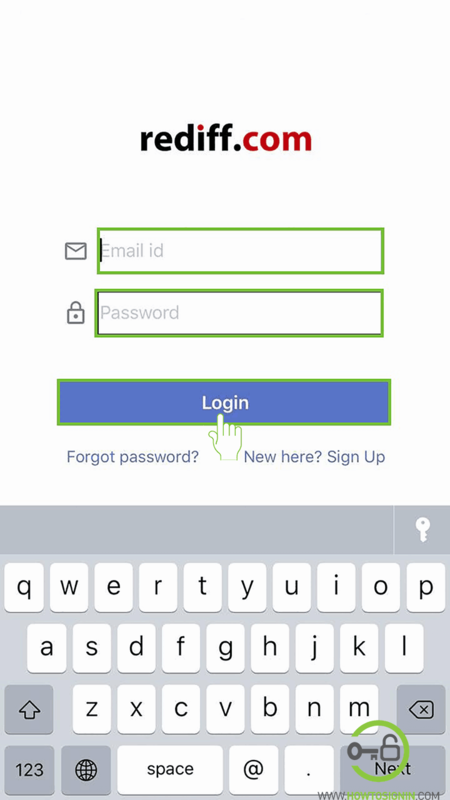 If you want to Sign out of the account tap on the menu icon (three horizontal line arranged in a row) and from the list of option that slides out tap on Sign out.